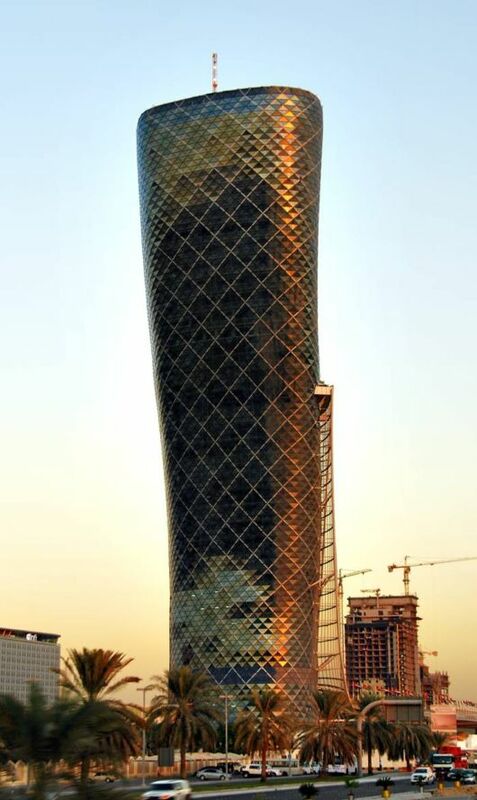 Capital Gate is an iconic leaning skyscraper located in Abu Dhabi adjacent to the Abu Dhabi National Exhibition Centre. 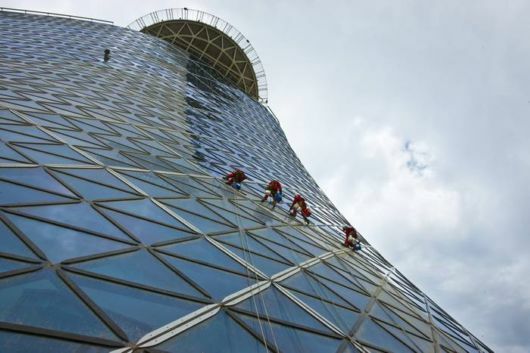 At 160 meter (520 ft) and 35 stories, it is one of the tallest buildings in the city and leans at an astounding 18 degrees to the west, four times than the famous Leaning Tower of Pisa. 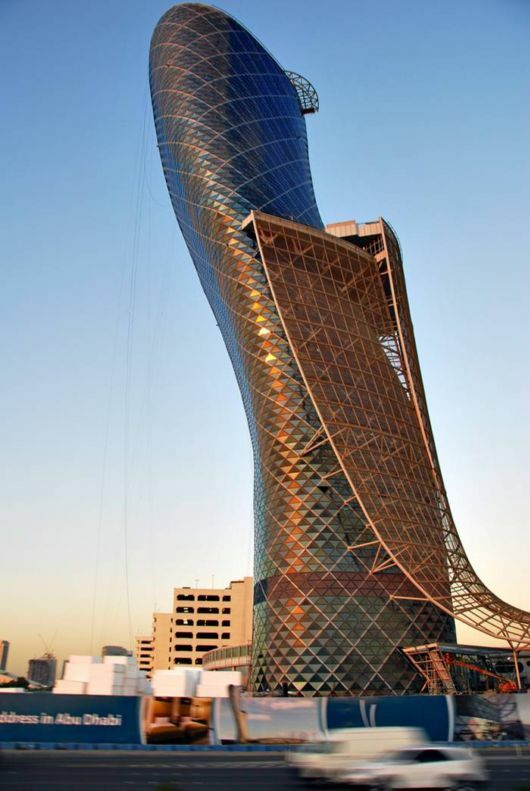 In June 2010, the Guinness Book of World Records certified Capital Gate as the “Worlds furthest leaning man-made tower.” To make this possible, the central core of the building slants in the opposite direction to the lean of the structure, and it straightens as it grows. 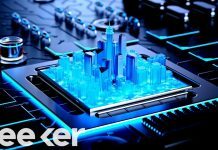 The building sits on top of a 7-foot-deep concrete base with a dense mesh of reinforced steel. 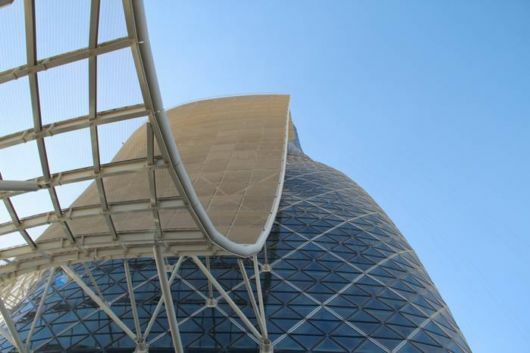 The steel exoskeleton known as the diagrid sits above an extensive distribution of 490 piles that have been drilled 100 feet underground to accommodate the gravitational, wind and seismic pressures caused by the lean of the building. 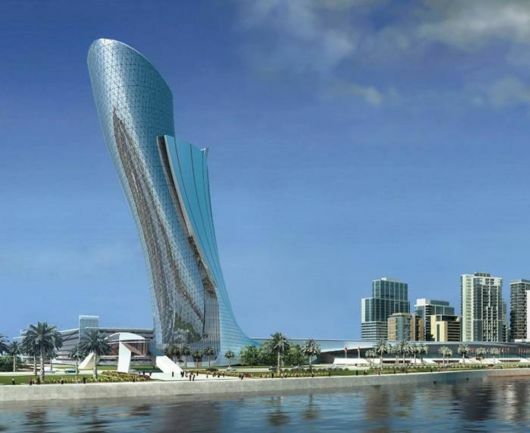 The ground-breaking form of Capital Gate is due not only to its lean, but also to its funnel shape. 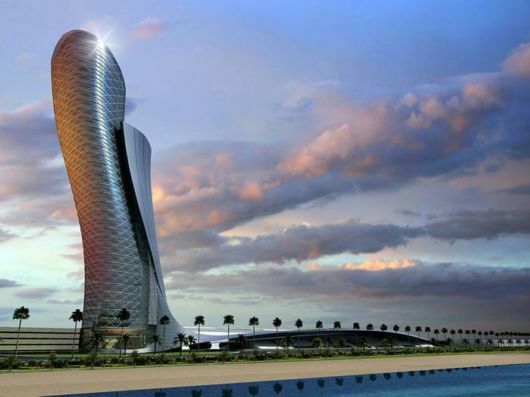 The tower widens as it spirals upwards and outwards. 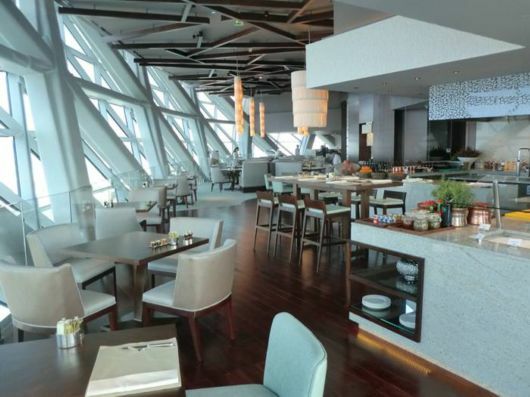 Due to its strange design each hotel room is unique in size and shape, with floor-to-ceiling windows that let guests soak up the best of the sweeping views of the city below. 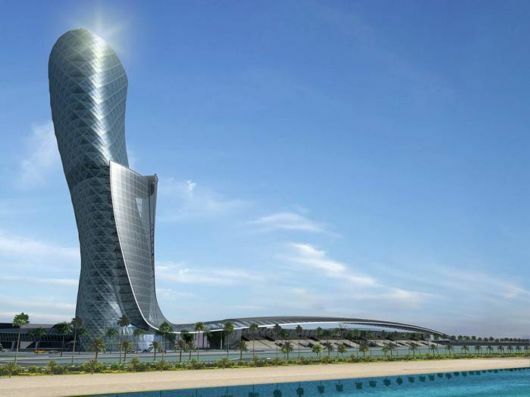 Capital Gate forms the focal point of the Abu Dhabi National Exhibition Centre complex and the Capital Centre master development, a connected group of 23 towers including branded hotels, commercial buildings, residential and serviced apartment complexes and developments for mixed use. 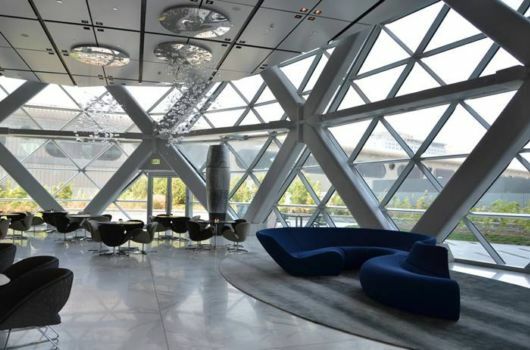 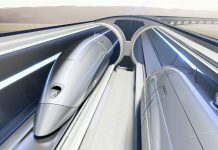 These facilities are built overlooking an urban highway along the south-western shore of Abu Dhabi, with Capital Gate dominating the waterfront from its position at the western edge. 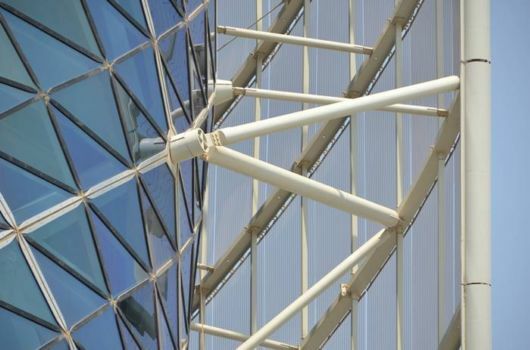 The 35-storey tower, which opened less just a year ago after five years of construction, is fast becoming one of Abu Dhabi’s most famous landmarks.